Summary : In his first book, Noah tells his coming of age story with his larger-than life mother during the last gasps of apartheid-era South Africa and the turbulent years that followed. 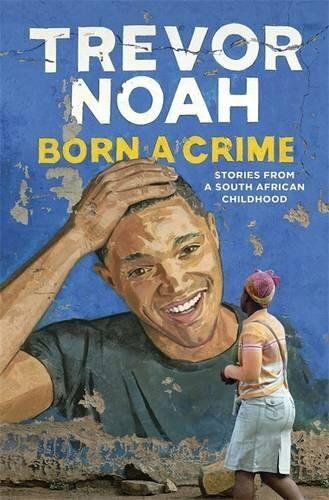 Noah was born illegal — the son of a white, Dutch father and a black Xhosa mother, who had to pretend to be his nanny or his father’s servant in the brief moments when the family came together. His brilliantly eccentric mother loomed over his life — a comically zealous Christian (they went to church six days a week and three times on Sunday), a savvy hustler who kept food on their table during rough times and an aggressively involved, if often seriously misguided, parent who set Noah on his bumpy path to stardom.